I’m not sure about where you live, but finally fresh peaches are ready for us here this summer! Oh, and I LOVE peaches!! I love their smell, I love their texture and I love them in pretty much any form! 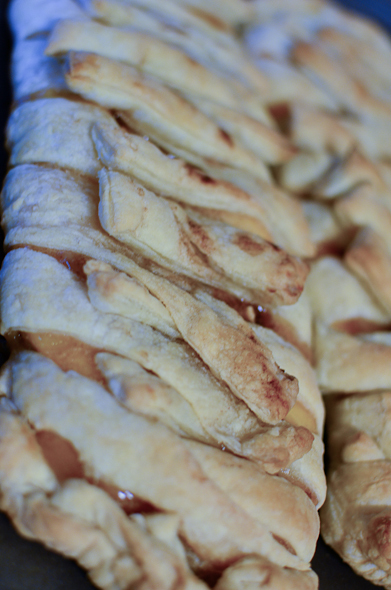 I noticed I had some puff pastry in my freezer just waiting to be used and decided to add some peaches to make a little peach puff pastry treat. Simple recipe, quick baking and sooooo yummy! And did I mention it tastes like summertime!! 1. If your pastry dough is in the freezer, take it out to thaw at room temperature about 40 minutes. 7. 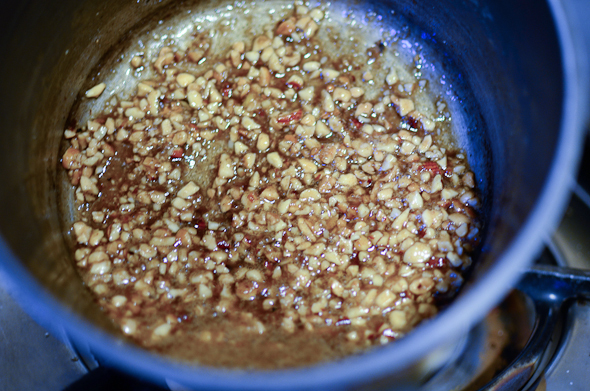 Top your peaches with the nut mixture spreading it along the top – be sure to reserve some of the “juices” in the pan though. 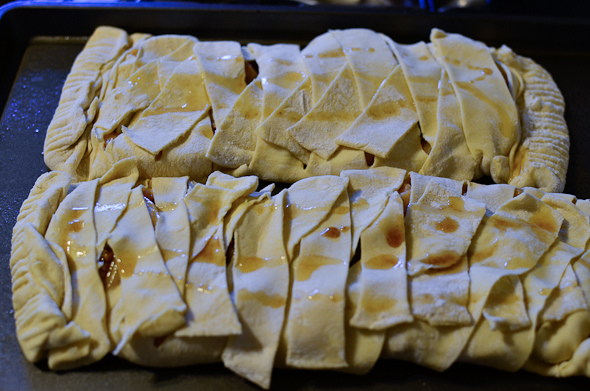 We will use these to spread along the top of the pastry before we put it into the oven. 8. Now you could simple fold over the dough to encompass the filling and then slice little 1-inch vents into the top of the dough, but I decided to make approximately 1″ cuts in the dough on each side of the mixture so I can “weave” the dough on top of the filling. 9. 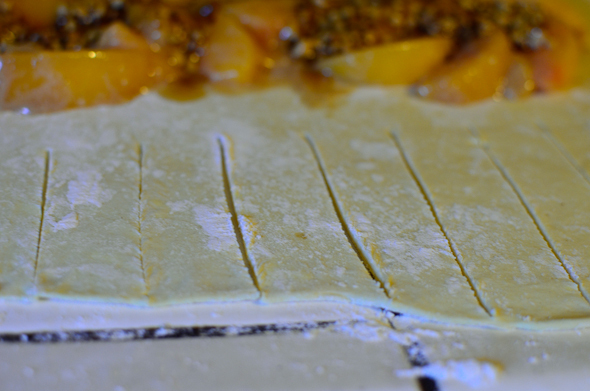 Transfer the pastry to a baking sheet and now, if you saved some of the juices from earlier, sprinkle it on top of the pastry. 10. Bake the pastry for approximately 25 minutes – I would take a glance at it at about 20 minutes though just to be sure. 11. 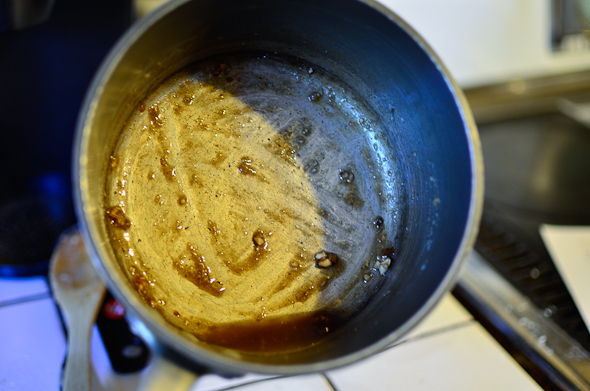 Cool 5 minutes on the pan, then transfer to cool completely on a wire rack. Oh and if you have any delicious (vegan) vanilla ice cream in the freezer, it might be a good time to place a scoop on top of a slice of this pastry – DELISH!! This looks so so good! And it’s so beautiful when it’s finished. 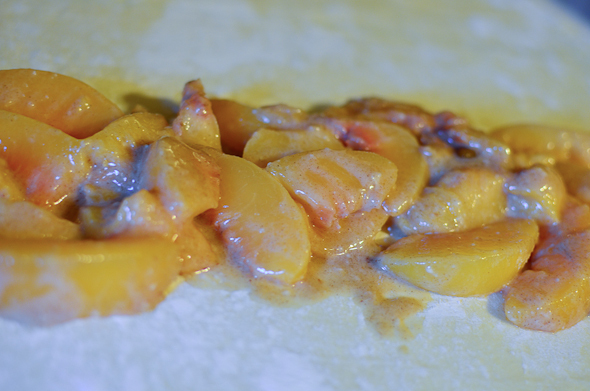 Thanks for sharing this recipe, I’m going to try it with some of our fresh and local peaches. 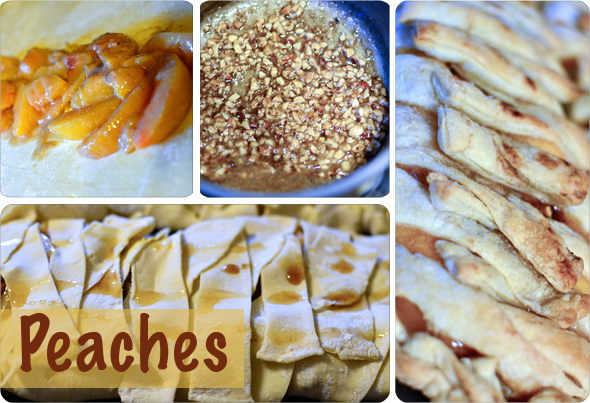 Oh I miss Summer peaches so much , this post makes me crave them. Yum! I love summer peaches too!